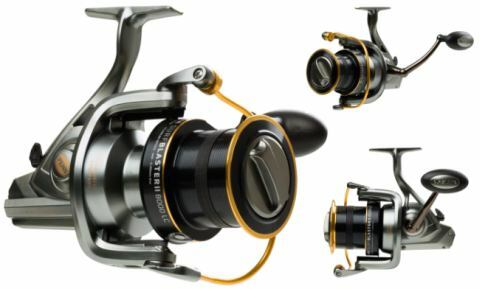 The all new PENN® Surfblaster II Reel features a strong but lightweight graphite frame with graphite side-plates, a forged and machined Longstroke aluminium spool with line capacity rings, 5+1 stainless steel shielded ball-bearings for smoothness under heavy retrieve pressure, a powerful but smooth HT-100 carbon fibre drag system, rotor brake, and a manual balearm. Built in slow oscillation gives incredible line-lay over the spool for ultra long-range casting performance with both braid and mono lines, plus the reel offers two line clips, and is saltwater resistant to minimise long term corrosion. Ideal for all surf-casting situations over clean and mixed rough ground.